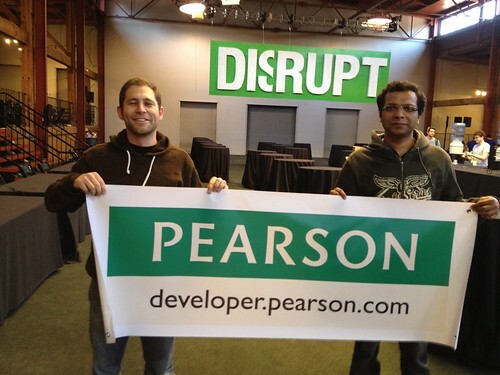 A Pearson Developers Retrospective of 2012: APIs, Hackathons, and Beyond! It's that time of year when everybody scurries to compile their year-end lists, so naturally we had join the celebration with our very own. Gregg and I joined Pearson's Future Technologies team earlier this year as Developer Relations / Developer Evangelists in San Francisco and New York respectively. We've both had an amazing year meeting a number of brilliant people, discovering new technologies, learning a few languages, and laying down the foundation for an even bigger 2013. Earlier this afternoon we chatted via Google Hangout and wanted to share a few of our highlights below. 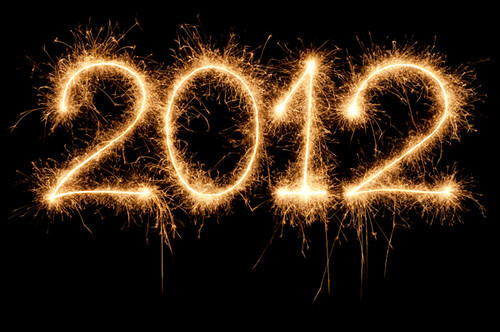 Let us know what you're looking forward to in 2013 in the comments. Stay tuned for what we have in store for you in the coming year by subscribing to our monthly newsletter and continue the conversation with us on Twitter and Facebook. From the Pearson Developers Community, we wish you happy holidays and an amazing 2013. > What were the high points of 2012 for you? Anthony: Introducing new APIs was a high point for me, specifically dkimages and Penguin Classics in September. Gregg: I have enjoyed working with my Pearson colleagues all over the world from Beijing to London. It has been a great experience working out of RocketSpace and meeting many great entrepreneurs. I have also had a great experience working with other corporate innovation efforts. On a personal note, it was awesome competing and placing in two Pearson Hackathons! Anthony: That was really cool, congrats again! It was also great to get involved with the NYEdTech community, meeting developers, and really cool startups here in NYC. > What were your favorite hacks of the year? Anthony: My favorite hacks were 4LWords and Tug O’Learn from the AT&T Mobile App Hackathon, Honeybadger from AngelHack, and from our own Hackathon - Twixtionary, Schoolnet, and Read It, Live It. Gregg: There were many cool hacks, but my favorite were the following: Maptouria, Penfm, Wordflare and AngelCook all from AngelHack 3 and 4 and Readwithme from the AT&T Education Mobile App Hackthon in Palo Alto. 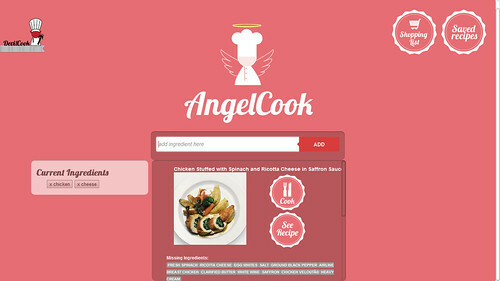 They were really creative uses of our APIs and also executed really well in terms of design and user experience. 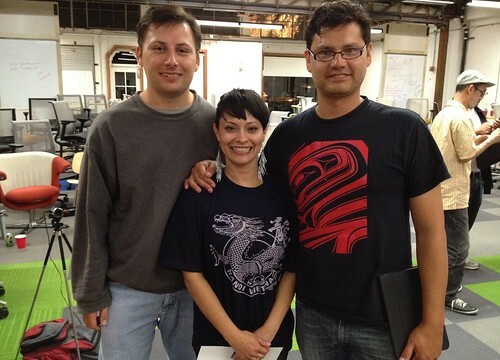 > Which were your favorite hackathons in 2012? Gregg: Each hackathon has a unique vibe and there is always something to learn. My favorite event was the Startup Weekend Education event I participated in Boulder, Colorado. That is my home state, so it was great connecting with the education enthusiasts in Boulder. Anthony: Agreed. My favorite hackathons were AngelHack in New York, AT&T Mobile was really cool during the Social Good Summit here in New York. Unfortunately a number of hackathons were postponed or cancelled due to the hurricane. > Favorite moments of the year? Gregg: I had a blast working with the Pearson API team in our offsite in London. I also had a blast working on the LearnSpook hack with my colleagues in the Pearson wide hackathon. The celebration for winning the hack was pretty fun as well! Anthony: Yeah that was great to put faces to names. I had a really great time at Hack’n Jill Hacksgiving, it was after the hurricane and people were really trying to come up with a solution to navigating the volunteering system. I think I honed my public speaking skills a bit at this point too. > Who were some people you admired in 2012? Anthony: Kin Lane from API Evangelist is one of the most knowledgeable people in the industry and has been really supportive of our platform (thank you if you’re reading this!) From Pearson, the people who were active contributors to Future Technologies (our team) initiatives. Gregg: Agreed. It has been great talking with Kin. It has also been great working with the developers who are enthusiastically working with the Pearson APIs, creating inventive uses of our content, and providing invaluable feedback for our team. I have also enjoyed working with the other developer evangelists in the Bay Area / tech community. Anthony: Same here, the NYC Devangelist meetups is a must for me. > What kind of apps do you wish to see in 2013? Anthony: I am a huge user of Spotify and I would really love to see someone build an application mashing up the Spotify API with one of ours. 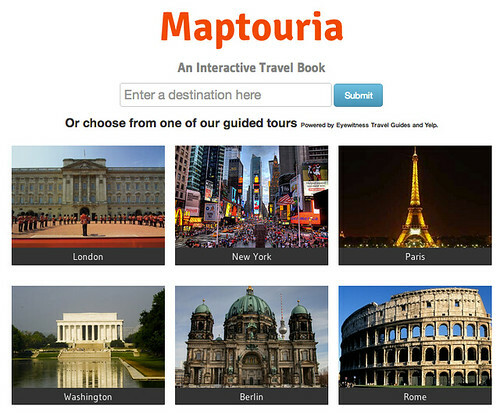 Gregg: I want to see more mash ups of Pearson travel content with social APIs. I think there will be really useful applications that come out of that. I am also excited to see new apps created from the content we have coming online in 2013! Anthony: I am definitely looking forward to more Pearson hackathons (Pan-Pearson Hackathon), and maybe even running an external hackathon. More APIs, SXSW, resdesigning our platform, and more content! Gregg: Yeah, I am pumped for SXSWedu and Interactive. There are also some really exciting events in the Bay Area including DeveloperWeek, LaunchEdu, Edsurge Ed Tech meetups, and many more. Thanks for your support in 2012! Here's to a great 2013! You can reach us @PearsonAPI on Twitter or by email (anthony.cuellar@pearson.com; gregg.alpert@pearson.com).